The Witcher 3: Wild Hunt is one of the most highly anticipated games of the year, and all it takes is a trio of screenshots to shoot it right to the forefront of our minds. Geralt of Rivia does not really live in a fair world. He rides his horse around all day and just witnesses the brutalities of his modern era. War leaves a squadron of men dead on the side of the road. A couple of thugs beat a defenseless man in the street. A band of horse riders casually walk away from a burning house. Of course, whether or not Geralt decides to do something about the injustice is entirely up to you. In these screenshots, he seems more than happy to aid the victimized man, but he almost appears to be hesitating to get any vengeance the owners of the burning house might have wanted. No point in getting killed over the lives of strangers in this rotten world, I suppose. What to do? How to progress? 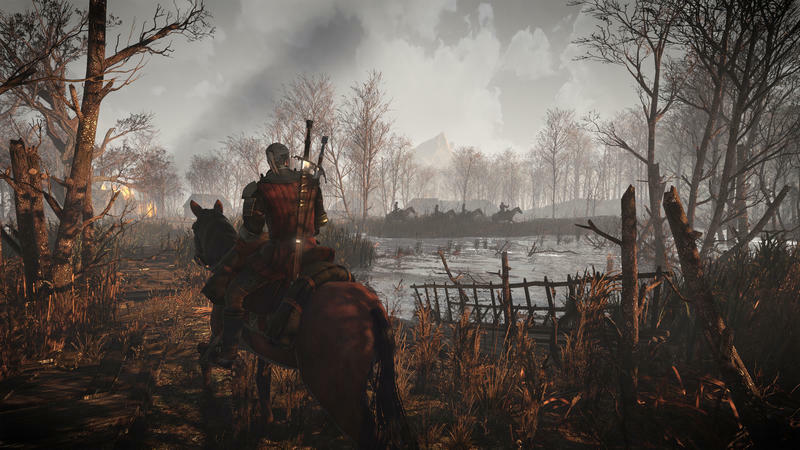 Where does Geralt of Rivia go from here? 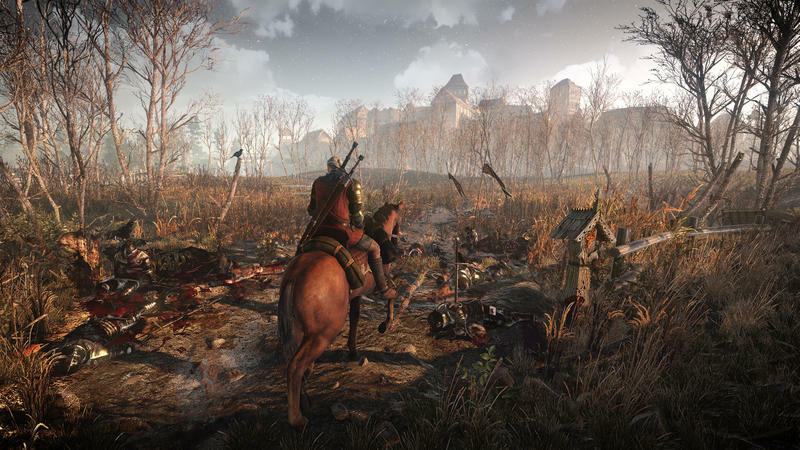 It’s up to you whenever The Witcher 3: Wild Hunt is finally released. 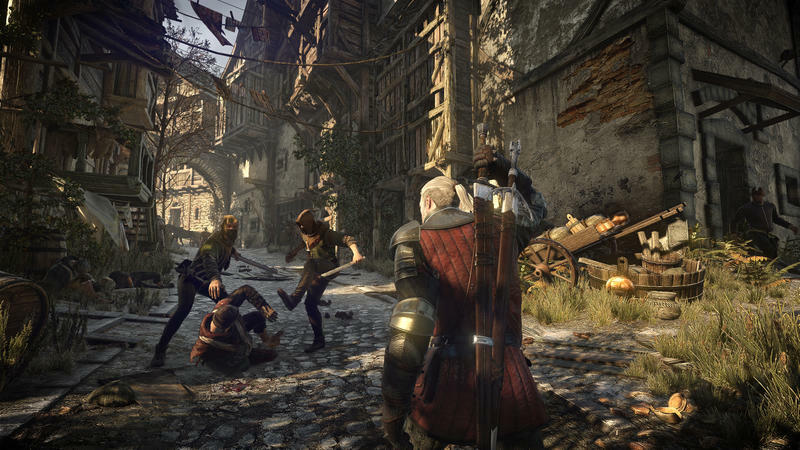 CD Projekt Red doesn’t have a confirmed date yet, but it will be released for the PlayStation 4, Xbox One and PC. The new screenshots were released to celebrate the game’s new official forum.